Traveling post today while we head southwest in the car to Neal's family reunion. In recent days we have been debating which is worse: mosquito alley or heat extremes. I personally don't mind the heat compared to the swarms of Mosquitos on the farm. They even figure out how to sneak inside the lodge to bite us... So frustrating. I've been using plantain poultices to help with the itching and swelling. Today was breezy so I only got 3 bites all day... Woohoo. 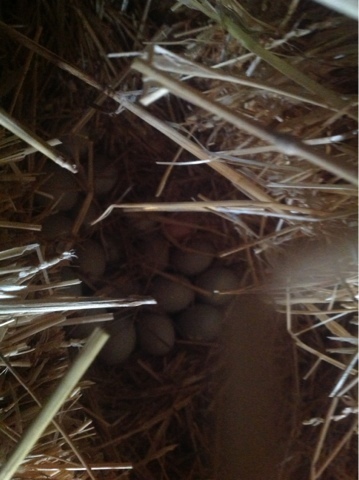 Neal found one of our white chickens sitting on almost three dozen eggs in the storage area of the hen house. We knew she had been sneaking out of the coop everyday but we weren't sure why. If she keeps being broody we may get some fertilized eggs for her to hatch. 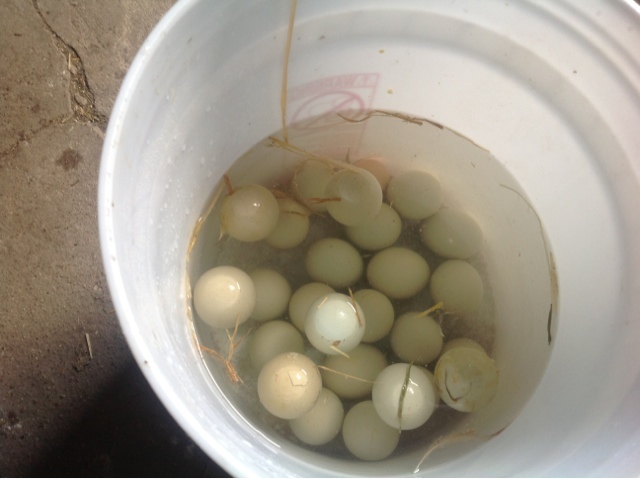 Neal put all the eggs in water to see which ones floated. We tossed the floaters because they are likely rotten. 6 bad eggs and over 2 dozen good ones! It's a bit hard to see our makeshift Popsicle here. 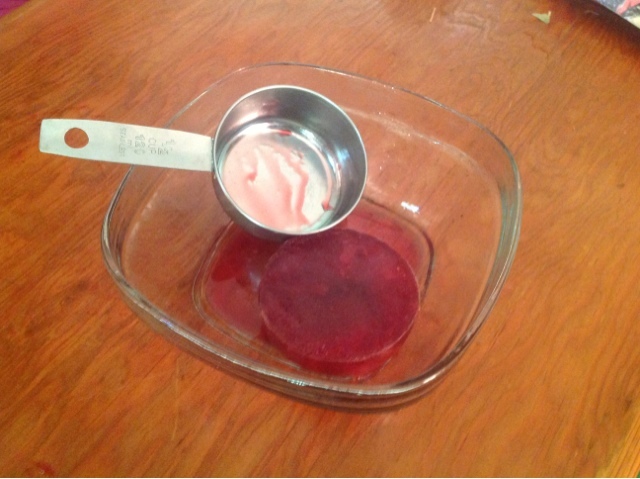 We made it in a measuring cup with cherry juice that had pooled at the bottom of the bag of pitted cherries. Tart and delicious! Round two is already solidifying in the freezer in an ice cube tray. That batch was made from juice we strained from cooked cherries, currants(from the farm), and black raspberries (also from the farm). We added a touch of honey but they will still be pleasantly tart. The cooked fruit went into hand pies that we cooked on the grill. They fell apart a bit bit we will eat them as a fruit crumble for breakfast while camping. Yumm! In other news, we finally got our own bike rack for the car today so we are done with both borrowing racks and with trying to cram two bikes into the trunk of the Honda. While at the bike shop. We also got a new bike for me. The old one was one Neal got as a graduation present for me off Craig's list. It has been just slightly wrong for me this whole time because the frame is too large for me.i was so excited about the new bike that I biked the six miles home from the shop while neal installed the rack on the car and drove home. Super excited to try out the bike at the campground this weekend. If anyone wants the old bike, let me know. I'd prefer to sell it to a friend over dealing with Craigslist. Neal and I put money into fixing it up last summer so it rides pretty well.